Lawyers acting for mentally ill clients and dementia sufferers have been praised in surveys commissioned by the Legal Services Board (LSB) on the needs of vulnerable consumers, but some did find it hard to deal with solicitors. 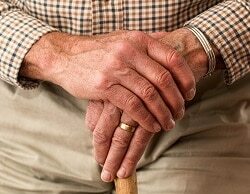 Most mentally ill clients said they received an “appropriate service”, while the majority of dementia sufferers said their experience of seeing a solicitor had been “extremely positive”. However, the surveys found that a small group of mentally ill clients were dissatisfied, while those with dementia “were not taking full advantage” of the range of legal services providers available. The qualitative surveys, carried out by Research Works, were based on interviews with 60 people suffering from mental illness or dementia and their carers. As well as the reports, the LSB has put out animations about the findings (here and here), as well as tip sheets (here and here). Most mental health clients said they found their main meeting with a solicitor “useful and satisfying”. However, some felt they had struggled to understand what they were being told or that their solicitor had “failed to engage” with their problem. Those who felt their mental health problems created “relatively low-level difficulties” reported a “tendency to feeling overwhelmed, both by the necessity to seek legal advice and by legal processes themselves”. This group of clients felt the adaptations required to meet their needs were “relatively achievable” and reported feeling satisfied if they had been heard and treated with empathy, as well being given opportunities to improve their understanding of legal information. A second group, which felt that accessing legal services created “relatively significant difficulties”, said they had additional needs for “regular and consistent” communication and for explanations to be repeated. Two people who had mental health problems, and were carers of people with dementia, were “put off dealing with legal services” after poor initial experiences. In one case, a carer “felt overwhelmed” by the response from the law firm she had approached. She described being “bombarded” with information by the receptionist, how a solicitor had “focused on physical impairments”, such as whether her parents could get up the stairs, and the cost was “off-putting” at £1,500 for two lasting powers of attorney. Researchers said it was clear that dementia sufferers “did not seek, or make use of” a full range of information on legal services providers. “However, there is also evidence that respondents felt confused about the services on offer, particularly in relation to lasting power of attorney. Clients with dementia said they felt that it would be “extremely useful to make clear, written information about their legal issue available before meeting face-to-face, so that they would have an opportunity to consider what they wanted to do”. Neil Buckley, LSB chief executive, commented: “This qualitative research improves our understanding of how consumers with mental health problems and dementia (and those caring for them) experience legal services. “Sometimes small actions can make a big difference to consumers, particularly those who are vulnerable. When providers take simple practical steps this can a big difference to the consumer experience.